Rivian is an automaker and automotive technology company developing products and services related to sustainable transportation. The company was founded in 2009 by founder and CEO Robert 'RJ' Scaringe, who had graduated from the Massachusetts Institute of Technology's Sloan Automotive Laboratory with a doctorate in mechanical engineering. In 2017 Rivian announced it was building an electric sports utility vehicle (SUV) and a pickup truck on a platform that executives claim can be modified for future vehicles or adapted by other companies, with both vehicles semi-autonomous and designed for on-road and off-road driving. Rivian received a large investment and grew significantly in 2015, opening research facilities in Michigan and the Bay Area. Rivian began working exclusively on electric autonomous vehicles, specifically building an entire ecosystem of related products. It also began gearing its prototypes towards the ride-sharing and driverless car markets. 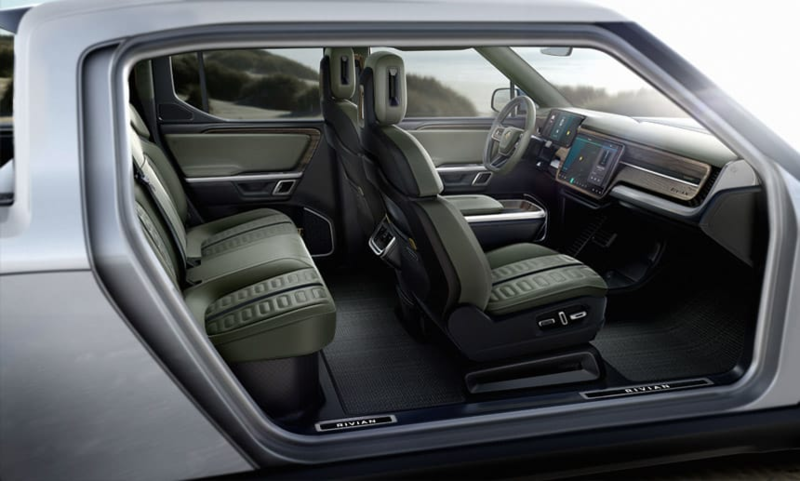 In December 2017, Rivian revealed its first two products: an electric five-passenger pickup truck and an electric seven-passenger SUV provisionally named the A1T and AIC respectively. With both vehicles unveiled at the LA Auto Show in November 2018, production is scheduled to begin in 2020 with the truck to launch first. 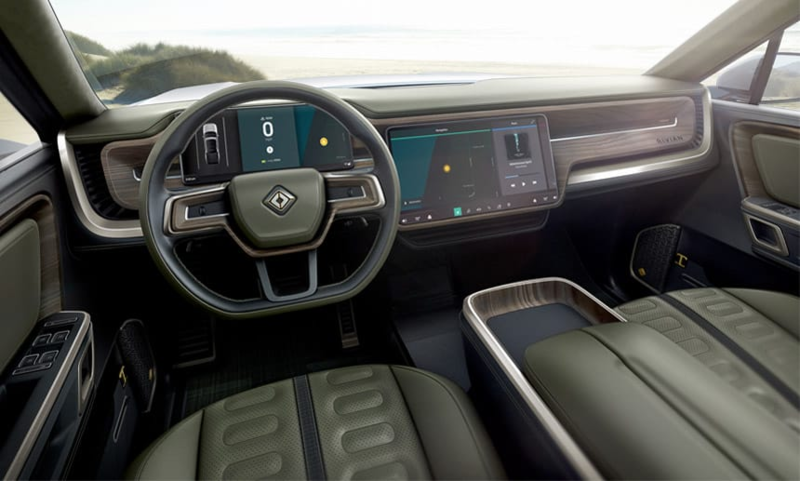 Both vehicles were described as ready for rough terrain and semi-autonomous, and the company outlined a plan for its next generation of models to be fully autonomous. 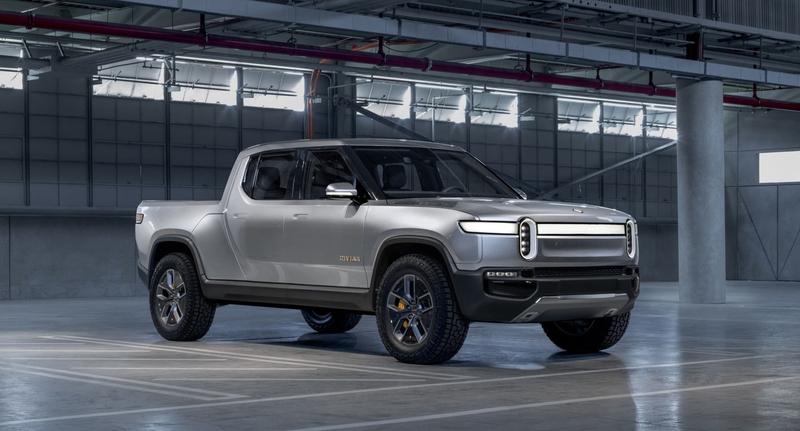 In May 2018, Rivian stated that they had dubbed their upcoming truck with the working name A1T and their SUV with the working name A1C. In November 2018, the truck and SUV were renamed the R1T and R1S. Designed to be capable off-road, both models have 14 inches of ground clearance. The truck was claimed in early testing to be able to sprint from 0 to 97 km/h (60 miles per hour) in 2.8 seconds, wade through 1.1 m (3.6 feet) of water and climb a 45%-percent incline. The cars are Level 3 autonomous and have extra features such as automated trailer back up.